NMSU BOR voted on and passed a motion to allow liquor to be sold at the Pan American Center. The motion passed 3-1 with one abstaining. NMSU will have to apply for a liquor license and it could take 120-150 days to get. Carruthers talking about supporting New Mexico microbreweries if BOR approves liquor license for Pan Am. 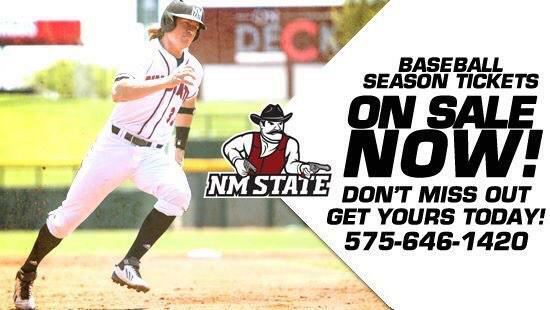 NMSU is in both the WAC and Sunbelt for the foreseeable future. The Sunbelt is waiting to see what James Madison University does. Carruthers gets the feeling that the SBC would rather have them than us. We are too far west for a majority of the schools in the SBC. Carruthers wants to see 2 or 3 more schools added to the WAC. NMSU needs to help strengthen the WAC. NMSU might have to consider adding Men's Soccer in order to attract more schools to the WAC. Conference realignment is still very fluid. Four of five regents approve applying for liquor license for Hotel, Restaurant & Tourism Management program. NMSU aims to have on-campus interviews for VP advancement/president of @NMSU Foundation in January, Carruthers says. This year's @nmsu freshmen have an average ACT score of 21.1 and average GPA of 3.391.